Do you have a staffing shortage in your company? We assign you an experienced HR manager in a quick and easy way. No matter whether you are looking for a HR professional for specialised projects in your company or whether you need further support to fulfill your day to day business – there is no need to worry! Your Wolkenrot Interim Manager is at your service and manages your HR topics in the twinkling of an eye! We assembled the best experts for our team and guarantee that you will be supported by the HR professional that fits you and your company perfectly. You will benefit incredibly from the know-how of an external HR manager. Interim Management is be the perfect solution for absences due to illnesses or rapid leavings and for medium term planning like maternity leave, sabbaticals or restructuring projects. Dial +43 1 905 31 31 and ask for your HR specialist now! Your Wolkenrot HR manager matches your needs perfectly! We support you with ideas and dedication! …your HR process. Interim Management is the process in which vacancies are filled with external managers. Frequently, these are management positions or the management of project work. Interim managers take jobs in consulting as well as executive positions. The position is filled only for a defined time frame. After expiry of the specified time, the interim manager leaves the company again. Therefore, Interim Management ist often called “management on time”. In your company an expert or leadership position is becoming vacant, such as through parental leave or a prolonged illness. Instead of looking for a replacement yourself, you can rely on experts to help you with the recruiting process. Wolkenrot is such an expert and will find the specialist and suitable manager for you. Your company has a staffing shortage – you simply contact us and briefly describe the facts. Are your HR business partner or your head of HR unexpectedly absent for a longer time? We are taking care of your problem! In a dialogue with you, we determine which of our interim managers fits perfectly into your company – depending on industry, capacity and character. We send you a detailed profile of our manager. After your feedback on our proposal, an offer will be made and then the manager will tackle your problems right away! Our experienced team of experts guarantees you a personnel professional who will support your company perfectly. All our consultants have many years of experience in HR and HR consulting. Our experts work extremely result-oriented and efficiently. Your demands: Anything is possible! You do not want to notice that anything is changing? Don’t worry, you will not. Especially in the case of capacity shortages, we make the highest demands on our experts in Interim Management. Therefore, we can guarantee optimal solutions for your company! Our experts have extensive experience in HR consulting. Consequently, they can be integrated efficiently and quickly into the management level of your company. Don’t panic in the event of a staffing shortage: With Wolkenrot you get a fast and reliable expert who brings a fresh look on the tasks and the necessary efficiency to your business. Often, especially in the case of maternal leave, the fear that a personnel consultant could “take away” the job, arises. We want to reassure you: our interim managers are not interested in “building a nest” in your company. We want to help you in “keeping the nest warm” for you and your staff, while continuing your work processes without interruption. So if you are using an Interim Manager – whether in HR, finance or even controlling – you can be sure that the manager will work results-oriented. Contact us, we will be happy to support you and provide you quickly and reliably with your “external” staff. Interim Management is temporary management and offers maximum flexibility for using top HR managers! Interim managers accompany companies in difficult phases and complement the team both in consulting and operational terms. Is using an Interim HR Manager necessary? The Interim HR Manager is a professional in his field, he has many years of experience as an HR manager and provides cross-industry tips and tricks! Does it take long until your Interim Manager gets productive? 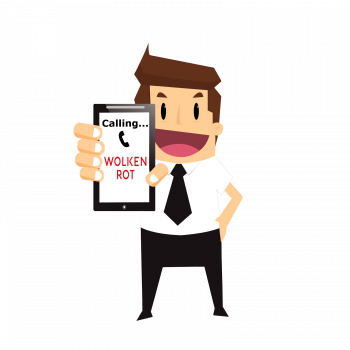 Your Wolkenrot Interim Manager finds out all aspects of tasks in no time and starts on the spot. Are there any advantages of HR Interim Management compared to traditional HR consulting? 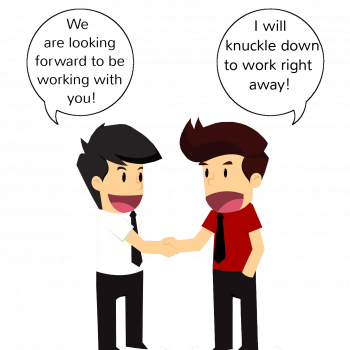 Your Interim Manager becomes part of your company and directly familiar with its culture. He therefore offers you tailored support for your company. Wolkenrot Interim Managers do not only provide concepts but also fend for their implementing! Companys benefit from the operative experience our HR managers have gained in different organisations over the past years. Why is Interim Management the best solution? Companies benefit from the know-how of well-versed experts. When an Interim Manager is needed, he is immediately available to fill operational and capacitive gaps! When do I profit the most by using an HR Interim Manager? In cases of shortages due to absences, increased workload and restructuring! Not only when staffing shortages, dropouts, maternity leaves or sabbaticals occur but also when special projects need special support of an HR Expert. Your HR specialist helps you with words and deeds during the whole period of extra workload. What are the advangtages of hiring an Interim Manager? Flexibility – Wolkenrot Managers are flexible and available at short notice. You have complete control of the project and therefore also on the costs. 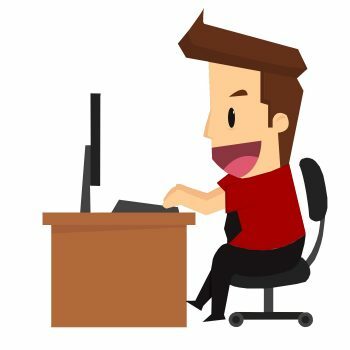 Productivity – With the kick-off of the project the HR Manager start working immediatly. You save time and long termed training on the job! Insourcing of knowledge – Wolkenrot Interim Manager have experiences far beyond your business. You will gain an enduring benefit from their know-how! Is contracting an Interim Manager more expensive than hiring an employee? On grounds of having long termed experience we are able to work quickly and efficiently. You will save costs on hiring, training and wage labour costs as well as additional expenses for holidays and illnesses.